Artists think outside the box on multiple levels every time they complete a piece of work but Mark Langan has given a completely new meaning to the phrase, as hecreates artwork quite literally out of the box. The 50 year old spends hours on end cutting, folding and gluing pieces of corrugated cardboard together in order to produce some of the worlds most environmentally friendly artwork pieces, recreating well known pieces such as Munch’s Scream, which he made out of somewhere in the realms of 2,000 individually cut pieces of cardboard box. Each piece of work takes an average time of 120 hours and so far he has created 200 pieces to date. Altough Langan is aware that his artwork is very low tech and it is in effect classed as “garbage art”, he is extremely particular about the brand of knife he uses in order to produce his masterpieces. He likes to use non-toxic glue, a cutting mat, a steel rail, a ruler and an Olfa snap razor knife, which along with skill, planning, maths and patience are the keys to what is most definitely a spectacularly impressive portfolio. 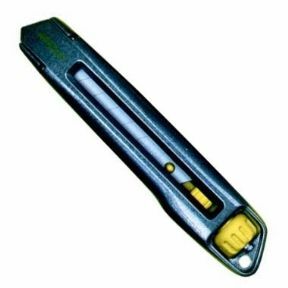 The Olfa Snap off knife is a heavy duty knife which is perfect for opening cartons, packages, cardboard, corrugated cardboard, boxes and much more. Its blades are easy to remove and safe, easy and fast to replace. This knife can be used by amateurs or professional DIY-ers either at home or in the work place, as they are just as good for cutting wallpaper as they are for doing arts and crafts projects at home. These Olfa knives are light, easy to use and easily accessible for the use of people with any amount of experience. Many Olfa knives, such as the Olfa extra heavy duty snap off knife, have a wheel look and a non slip rubber grip, too, because your safety is paramount to use. Here at Knife-Point, we’ve been consistently delivering satisfaction to our customers for many years. A big part of the reason that we’re able to do this is thanks to our commitment to provide a knife supply service that offers great choice, value and quality. Regardless of the knife blades that you purchase from us, we remain committed to providing you as the client with the tools that are best suited to you. As a result of this, we’re now widely recognised as the leading supplier in the Sheffield area. Taking a closer look at our snap off blades range in particular, we’ve put together a list of some of the positives you can reasonably expect to come attached when you choose us as your knife blade provider. By continuing to offer the best quality products on the market to our customers, we’ve been able to build up long-lasting relationships with a great deal of them. Our clients recognise the excellent standard of knife blades on offer with us; leaving them confident to keep coming back once they’ve implemented any purchases from us in their line of work. When browsing the Knife-Point site, it will be immediately obvious to you how competitively-priced our products are – regardless of the ones that you require. With relation to our snap off blades, you can purchase these tools from us in a whole host of different quantities; safe in the knowledge that the price is sure to match the service. One thing you can be absolutely sure of when you choose us is that the service you receive will be truly unrivalled in its quality. Now with over 30 years experience working within the trade, you’d be hard pressed to find a knife blades supplier that’s able to offer the levels of professionalism and commitment that our team are able to do on an ongoing basis. When you purchase anything online, it’s always an added bonus if you can receive the product in question quickly. That’s why our rapid delivery times continue to remain important to us as a company. We make it a priority to fulfil any orders we receive in a timely manner so that you can gain access to the tools you require and carry out the work you need to. It’s important to us that we continue to offer manufacturer choice to our customers. By doing so, we’re able to give those looking to purchase from us the best chance of gaining access to top quality. 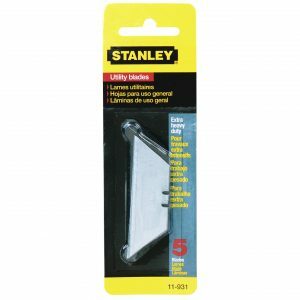 Olfa and Stanley are the two most notable of these; and we offer a number of replacement blades to fit handles from these well-know companies. To find out more about our snap off blades – or other products such as our trimming knife blades – please don’t hesitate to get in contact with us today. Call 07737133030 to find out more; or drop us an email to sales@knife-point.co.uk. 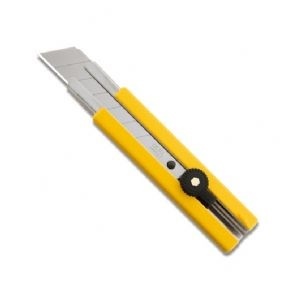 Snap off blades are extremely versatile, making them useful across a variety of trades. It’s easy to see why they’ve proven to be so popular over the years and we at Knife-Point supply them in abundance. As industry-leading providers of knives and blades to customers in Sheffield and beyond; they form one of our cornerstone products. One of the strongest qualities of snap off blades is that they can be used by tradesman working across a variety of different industries. Graphic arts, crafts, packaging, flooring and roofing are just some of the many fields of work that these tools are utilised within; so you can be sure that you’ll be purchasing a knife that’s up to the standards you require. At Knife-Point, we stock these blades in a whole variety of sizes. 9mm, 18mm and 25mm are just some of the blade lengths that you can access through us; giving you the freedom of choice you need when it comes to choosing a products that you know will enable you to carry out the quality of work that you require. As sections can be broken off as and when they become unusable, the need to look for new tools and frequently change your blades is removed. 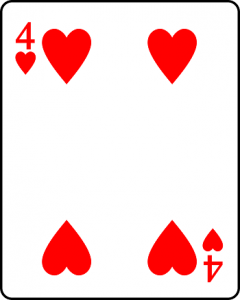 This is a real positive, as it can save you time and allow you to focus your concentration on the task in hand. When you need to, just snap off the used section to reveal a brand new cutting edge. All of our snap off blades here at Knife-Point are impressively sharp; guaranteeing that the work that you carry out with them will be of excellent quality. With blades manufactured from hardened and tempered carbon steel, the versions of this tool that we supply are absolutely uncompromising in the quality that they deliver. It may be that you need more than just snap off blades. If this is the case, we can definitely help with our impressive supply of knives. Planer blades – as well as Swann Morton and Stanley knife blades – are just some of the many more examples of tools that you are able to purchase from us. If you’re interested in finding out more, we’d love to hear from you. You can give us a call on 07737133030; or drop us an email to sales@knife-point.co.uk. To speak to us about our Swann Morton knife blades; as well as many more of our products – including Stanley knife blades and snap off blades – you can give us a call on 0114 2507554. Alternatively, why not drop us an email to sales@knife-point.co.uk. We look forward to hearing from you. We’re an extremely reputable knife supplier in the Sheffield area and beyond and you can be safely assured that you’ll be receiving only the highest levels of customer service if you choose us. Our knowledge of the industry is extensive and you can always feel reassured that our staff will be able to answer any queries that you may have in a highly satisfactory manner.